The 5th installment of J.A.K.A.M. 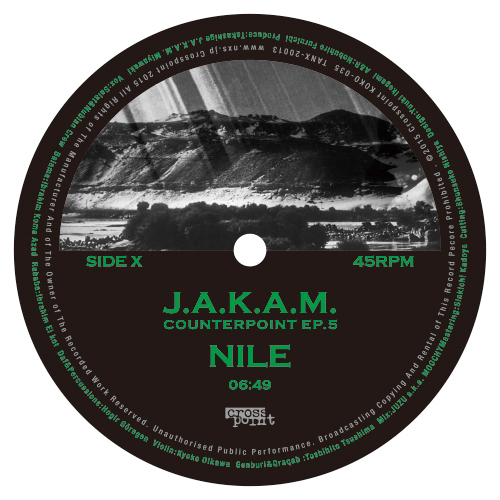 's Counterpoint series, takes us deep inside the Arab lands via the mighty Nile. Introducing this desolate, organic gypsy groove is a mixture of melodies coming from the Kurdish strings of the Balama. Nomadic percussions enter this hinterland wilderness and Nubian chanting offers a wary notion. As the subtext of this series is to pay tribute to ancient civilization, J.A.K.A.M. was awe-inspired by his visit to the Nile and produced this track as an homage to the origins of humanity. An Arabic Black Out? 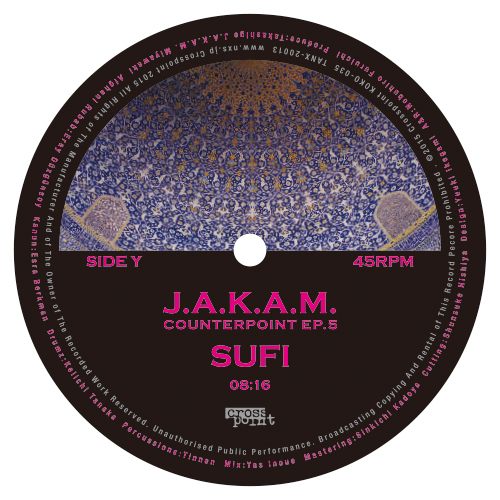 With a beatdown techno backdrop, Sufi starts off with a Koto sounding string instrument, Afgani Rubab performed by fellow Crosspoint artist, Eray of Yakaza Ensemble, uniquely intertwined with the melodies of another widely used in Arab and Asian lands string instrument, Kanun. These 2 songs are J.A.K.A.M. 's straightforward answer of how to express a new Arabic groove in the 2010s era dance floor context.